If you’re reading this article, you’re more than likely a coach, golf professional or leader at your facility. But at some point in your life and throughout your personal growth, you’ve probably been coached in golf or another sport. Why did you say that? It’s likely because, right there on the spot, you couldn’t recall all things you’d been working on and the nuanced ways your performance has improved. You weren’t keeping a record of your improvements. You weren’t journaling your performances. The primary reason athletes don’t keep a performance journal is that they have never been required to or taught how to do it. 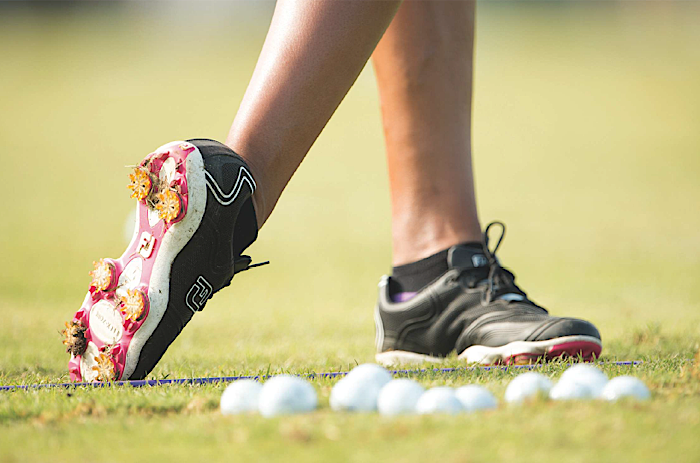 This is the fifth in a series of articles from Top 100 Golf Instructor Shawn Humphries on the principles of the Elite Performance System – a detailed method of training and mental preparation. This series of stories is designed to help you become a better coach and instructor. You can’t manage what you don’t measure. Simply put, athletes cannot afford to be in the dark when it comes how they are progressing. They need to have a plan to reach their goals. So as the coach, you help them set a goal, make a plan and be ready for competition. If athletes fail to reach their competitive goal, a well-documented performance journal can help the coach and player easily determine the cause. Winning is not an accident, and is achieved through accountability, commitment to obtaining goals and following through on active preparation. I will not coach an individual without a performance journal and, as a coach, you should demand it of your athletes. Without one, you are wasting valuable time as a coach. By referring to the performance journal of my athletes, I know immediately how often they are training, how long the training lasts, what happens during their training, what worked and what didn’t, the objective of each training session and what was accomplished. Furthermore, I know what equipment was used, when a change in equipment occurred and the reason for the change. How does a coach know all this detail if someone doesn’t record it? I’m not willing to leave these critical issues to memory. No journal, no coach in my book. Again, you can’t manage what you don’t measure. If the journal is only used to record information, it’s not being maximized. I believe the primary benefit of the performance journal is to help athletes build their self-image The self-images makes someone act like themselves in every life setting. It’s centered in their comfort zone – people operate best in spaces and mindsets where they’re comfortable. By imprinting real and rehearsed experiences outside of their area of comfort, athletes can grow their self-image and expand their comfort areas. Anything an athlete thinks about imprints and shapes their self-image. As humans, I believe talking about something produces more lasting imprints than just thinking about it. Talking about a bad performance is a sure way to cause it to become a habit. We become what we think and talk about. Mental images that are written down have the greatest impact on self-image. Athletes should make a habit of writing down what they wish to have happen. People tend to become what they write about. If keeping a performance journal is such a grand idea and helps performers accomplish their goals, why do so few athletes take the time to accurately keep one? As a coach, knowing why they don’t do it properly will help you convince them of how important it really is. They keep a diary, not a performance journal. I define a diary as a record of impressions and emotions, good and bad, of what happened that day. A performance journal contains statistics, data and outcomes. While recording this information is pivotal, athletes must be careful about journaling their mistakes. Focusing on the bad is a huge mental error, which causes the self-image to suffer. Let’s say a golfer has a bad day at an event and records all the bad shots and how/when they were performed. The principle of reinforcement works against them and improves the probability of repeating the same poor shots in the future. A performance journal should have NO references to bad shots, experiences, emotions or performances. It’s a performance journal, not a lack of performance journal. Athletes do not know how to keep a performance journal and are rarely taught to do so by those who coach them. Only critical information needs to be entered into a performance journal. It needs to be done daily: At the end of each training session, after pre-tournament rounds and after competition. Golfers need an equipment page in their performance journals. It must be updated every time they change or adjust any equipment. There’s also a competition page to record competitive scores. I recommend that my students have a system of storing these sheets in a binder in a safe, but accessible, place. The entries must be done immediately following training and competition. So that nothing gets lost to faulty memory, I highly recommend that entries be done before golfers leave the course. To be frank, most athletes don’t keep a performance journal because they are lazy or think it’s not worth their time. If someone is playing just to have fun, then the performance journal isn’t for him or her. However, playing to win requires an athlete to separate him or herself from the competition and be much more dedicated. If you are a coach and have your athletes on the system, a performance journal will yield great benefits. Both of you can track performance because it’s documented. This creates a baseline of accountability not only for the athlete, but also, more importantly, for you as the coach. Ask any athlete who keeps a Performance Journal: “How’s your game?” and you should get a much more detailed and precise response that question. 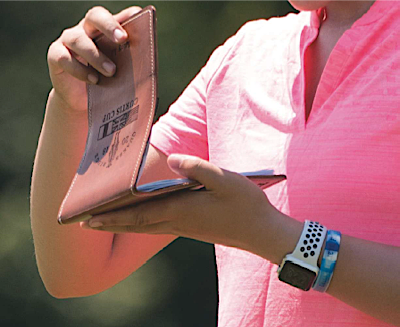 Once the journal is in tact, the next step is performance analysis – or the process of taking only a few minutes daily to review the journal with your athlete, using it as a space for positive reinforcement and a tool for enhancing the golfer’s self-image while propelling them towards their goal. General data – The event or training location, date, conditions and objective. What you did today and what you learned? – Exactly what the athlete did that day. And, more important, what was learned from the day. Solutions analysis – Writing down solutions to challenges that were discovered during a training session or competition. If there’s a problem they cannot find a solution for, I encourage students to simply state: “I’m looking for a solution to…” and then describe the problem. Continued reference to this section during performance analysis will reduce the chance that athletes will repeat the error. Success analysis – What the athlete did well during a training session or competition. This increases an athlete’s chance of repeat that success. This space is for athletes to brag about their day in full color with precise detail. It forces athletes to be positive about the sport and their performance. Shawn, I have not contacted you before, but I think your “Hump Day” series have been the best I have seen. I am an 81 year old who has been a consistent bogey player for the past 15 years. I play from senior tees and rely on the short game as my drives are only a “straight “ 200 yds. As you would know the 380 + par 4s are tough for me. I have been a student of the game since I started late (age 30) after a semi-pro baseball career. Twenty years ago I wrote a book titled The Golf Primer: a manual for the adult beginner. Through that labor of love, I spent time with Gary Wiren, Jim Suttie, Greg Ortman, Michael Hebren, Fred Griffin, Dave Pelz and others, but none were more genuinely helpful than your “Hump Day” tips. I still do a little basic teaching to some retirees who want to get into the game or return to the game after years away from the links.